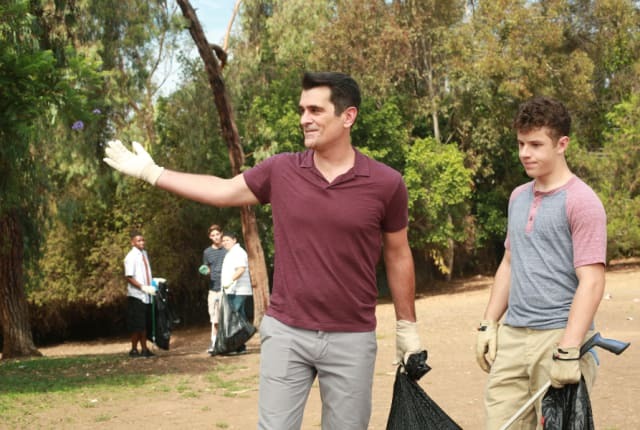 Watch Modern Family Season 7 Episode 5 online via TV Fanatic with over 6 options to watch the Modern Family S7E5 full episode. Affiliates with free and paid streaming include Amazon, iTunes, Vudu, YouTube Purchase, Google Play, and Verizon On Demand. On Modern Family Season 7 Episode 5, the staff makes things difficult for Claire when she brings Alex and Haley to "Take Your Daughter to Work Day"